Due to the popularity of the 2009 House of Flowers plaque Kerry Goodwin was invited to create a prestige version of her groundbreaking design. 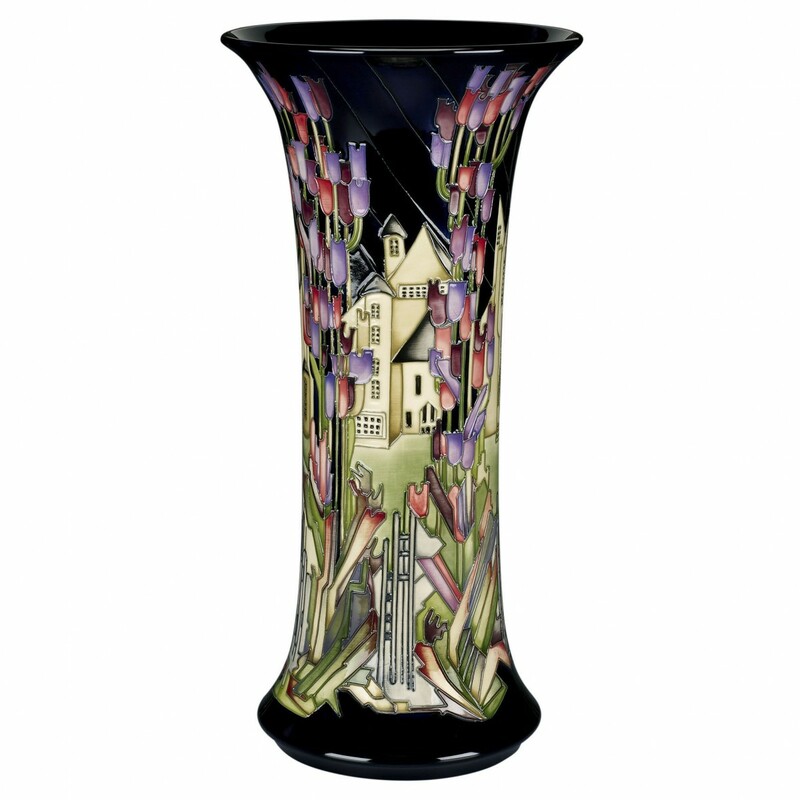 While the flowers on the vase remain the same, Kerry has added three additional landscape scenes between the flowers, each with a stylised garden gate. Each scene is different, some buildings have staircases, others have turrets or spires and all are in the Arts and Crafts style with tulips that burst into enchanting violet and burgundy hues as they soar up to the heavens. Each piece is numbered and signed.